In recent years, many popular food bloggers have made the transition from online content to printed cookbook. Aside from a pre-existing fanbase, there are a number of other traits that the most successful seem to have in common: they are usually created by self-taught cooks with no professional culinary credentials, the visuals are of extreme importance with both books and blogs featuring lavish photography, and the authorial tone tends towards the conversational, with writers who share the details of their lives alongside the recipes. 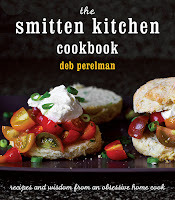 Deb Perelman is considered by many to be the first lady of food blogs. Her blog has appeared on dozens of “Best of” lists, and with good reason. She has a terrific self-deprecating style, her photography is beautiful, and her recipes all hit the mark. Her hook seems to be the fact that she does everything from a tiny kitchen in her Manhattan apartment, but what I really love about her is that she researches questions such as “Does it have to be a glass pan or would the tin one that I already have work just as well?” Basically, all the questions you wish you had asked before your efforts went horribly wrong. 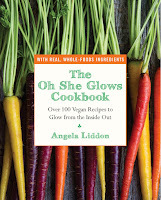 Angela Liddon’s fans are legion and her recipes have become legendary for producing vegan food that non-vegans will eat without complaint. What seems to have really won over her audience is the earnest way she engages her online community with candid discussions about personal growth, positive life changes, and her history of eating disorders. Liddon's stated goal is to share her story openly and inspire others who are struggling and, if the online reviews are to be believed, she is clearly succeeding. The book itself is gorgeous, with mouth-watering photography accompanying most of the recipes. The recipes themselves are easy to follow, including some that are so simple they might be better thought of as ideas or inspirations. Overnight oats, anyone? 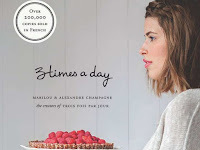 This book by Quebec singer Marilou has sold over 200,000 copies in the original French language version and the translation is proving equally popular with English audiences. Like Liddon, Marilou’s culinary journey began as an exercise in self-healing after years of suffering from anorexia. According to her, she named the book Three Times a Day as a tribute to her recovery and to the three meals a day that she is finally able to enjoy in health and happiness. Her partner Alexandre looks after the photography – there is a beautiful full page colour photo alongside every recipe in the book. The recipes are both elegant and accessible. 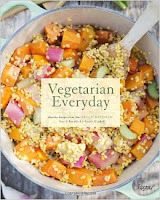 This is the type of cookbook that you casually flip through and instantly find ten recipes that you would like to try. 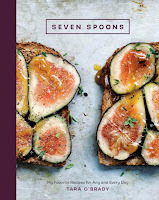 Although the subtitle is recipes for any and every day, the long ingredients lists and the multi-step instructions make me unlikely to reach for these recipes for weeknight suppers. Fortunately, when time is plentiful, the results are worth putting in the effort. Tara O’Brady’s originality makes this book a standout. She is highly inventive in her flavour combinations, but once you try them they seem obvious. Will miso-hummus be the next curry-mayo? Time will tell. This book is more than a cookbook, it’s an escapist fantasy in which life is made up of idyllic days spent strolling to outdoor markets, carrying single items home to be leisurely transformed into meals which would be eaten outdoors in perfect weather with attractive people. In this fantasy, there is no bad weather, frizzy hair, burnt toast, crying babies, rejections, or missed deadlines; everything is beautiful and nothing hurts…or so the scenic photography in this book would suggest. And what of the recipes? I found the Rhubarb Risotto that is pictured on the cover to make a unique and delicious meal; however, I must report that the beautiful cover photograph is as much a fantasy as the rest. In a raw state, the colours of the dish might be as vibrant as portrayed, but once cooked the colours fade for a final tasty, yet unspectacular presentation.